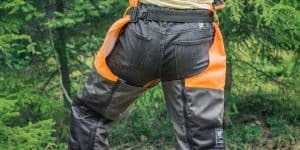 While operating a chainsaw certainly takes a little bit of skill and know-how, both newbies and experienced users fall victim to a pinched blade every now and then. If it has happened to you before, you might have some tricks up your sleeve. 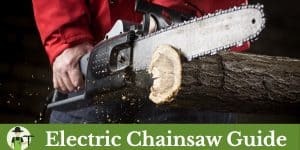 If you are experiencing this for the first time or are dealing with an extra-difficult situation, there are a number of methods of getting the chainsaw removed. 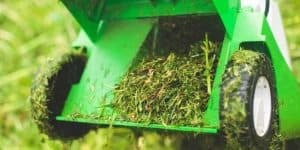 These typically involve the use of tools or extra equipment, but other times you can get the chainsaw out with a just little bit of strategy. Of course, there are other factors to consider as well. Is the tree lying on the ground already, or is it still standing? If it’s still standing, how far through did you get before the blade got pinched? 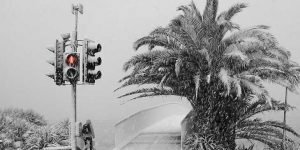 Asking these questions will help you develop a more targeted strategy and prevent you from wasting time on methods that aren’t likely to be successful. However, both situations can be equally difficult, so if it is pinched pretty good, it can be useful to exhaust all of your options. 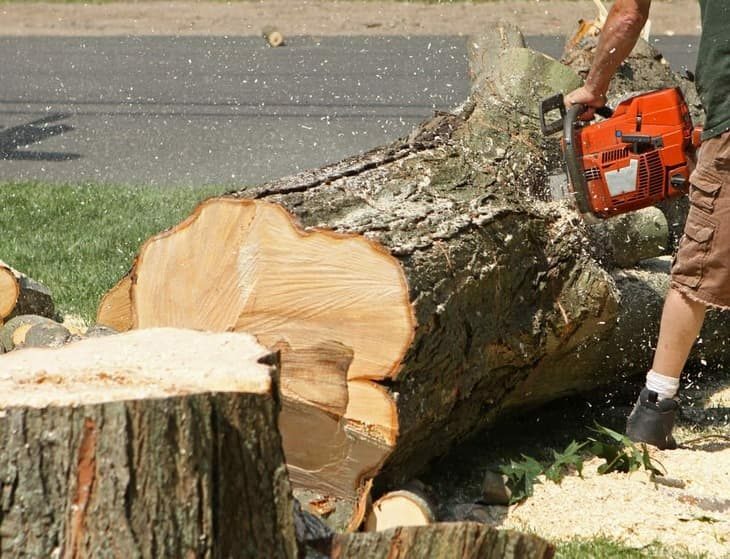 Unless you are in the woods or a clear area, felling a tree usually involves a strategic and even systematic approach. 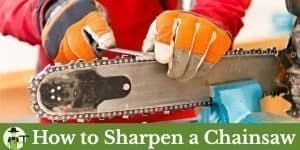 Those with experience know you can strategically cut a tree to have it fall in a certain direction, but plans can change when the chainsaw itself gets stuck. 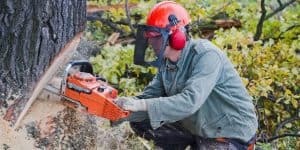 Un-pinching a corded chainsaw can be increasingly challenging when there are surroundings to worry about such as buildings or landscaping. However, will a little care and preparation, you should be able to get it out. The easiest ways to remove the chainsaw are going to involve pushing the tree in the opposite direction. 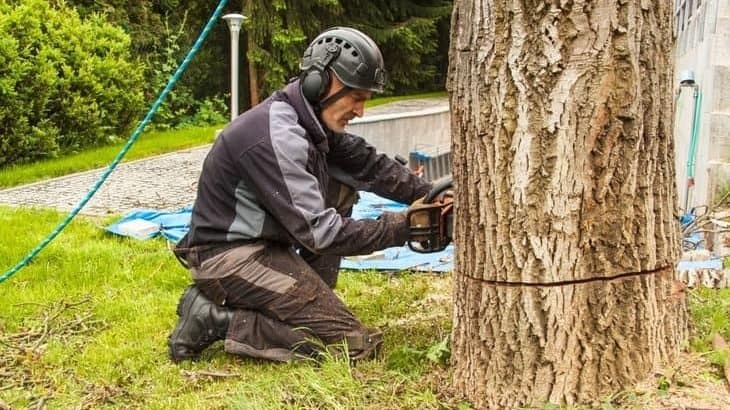 Depending on the size of the tree, this might be difficult, but you can sometimes create enough force, with a little help, to loosen the chainsaw. Otherwise, you can use a heavy hammer to drive wedges into an open space to force the side of the tree up a little bit. 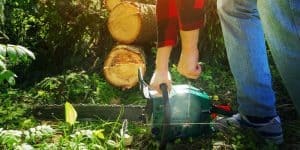 If you have access to another chainsaw, you can also cut into the opposite side of the tree to force the tree to lean in that direction. Alternatively, creating leverage is one of the more difficult ways to remove a chainsaw from a tree, but it’s often necessary. 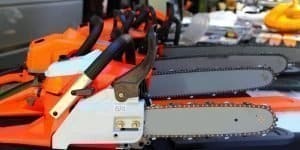 If you have access to a rope, a ladder, and a group of people, you can usually create enough leverage to yank the chainsaw out without worrying about creating danger for the surroundings. 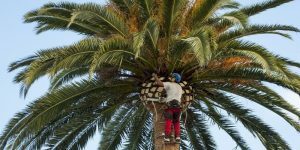 This method might depend on the height of the tree as well as the ladder you have access to. But if you are really struggling, it might be worth it either way. Use the ladder to access a high point in the tree and bring the rope with you. 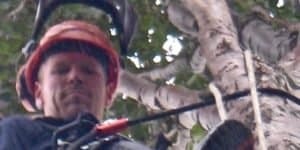 Tie and secure the rope to a thick enough portion near the top of the tree, and really make sure it’s secure and that the branch is strong enough because you are going to be pulling. Once back down on the ground, you and a group of people need to pull on the rope in the opposite direction of the chainsaw. 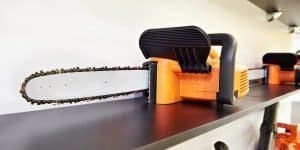 Pull hard enough to release pressure so that the person handling the chainsaw can quickly yank it out. If conditions are right and you have the power, you can force the tree down by pulling it with a truck. This might require a stronger rope or a reliable tie strap, and it will also depend on how through to the other side of the tree you are. This method isn’t particularly advised, and it can definitely be dangerous. If you choose to do this method, at the very least, make sure you have a clear space and a strong enough vehicle and strap. When the tree is on the ground and you are cutting it into logs, you will have a little more flexibility if your chainsaw gets stuck. You also won’t have to worry about the tree falling in a dangerous direction. 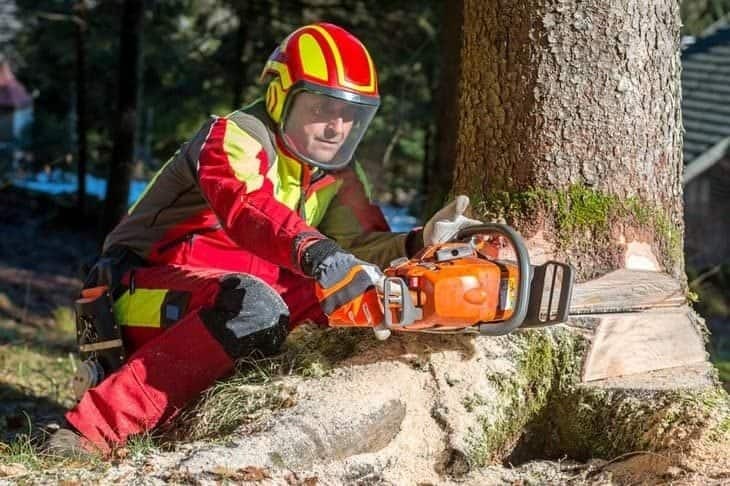 When the tree is on the ground, you will have better luck with different tools, and you don’t necessarily have the downward pressure of the entire tree on your chainsaw. The first thing you might want to do is look at how straight the tree trunk is. If you can find spots that are bent or otherwise leave an opening between the tree and the ground, you can use that to your advantage. 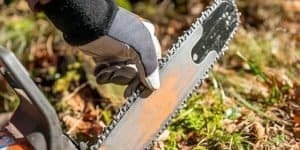 If you can find a log or something to force underneath that open space that’s slightly larger than the space itself, you can usually lift the tree enough to remove your chainsaw. The closer the spot you choose to lift is to your chainsaw, the easier it will be to find success. Regardless, you will want to get the tree off of the ground for future cutting purposes anyway. If you have access to wedges, crowbars, and other similar tools, you maybe be able to force the tree open right at the cut. It will help if you have two people, but if you force wedges into the opening, you can create enough space to remove the chainsaw. Otherwise, you can maybe pry the opening with the crowbar. 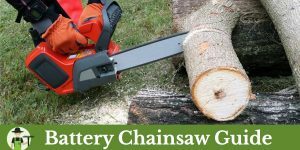 A combination of all of these methods may definitely be useful and what ultimately frees your chainsaw from the tree. Hopefully, the next time you cut down a tree you can prevent this from happening in the first place. 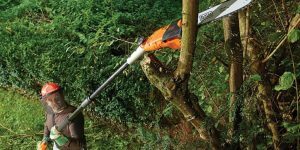 Take advantage of wedges and other tools to prevent the tree from pinching your machinery. 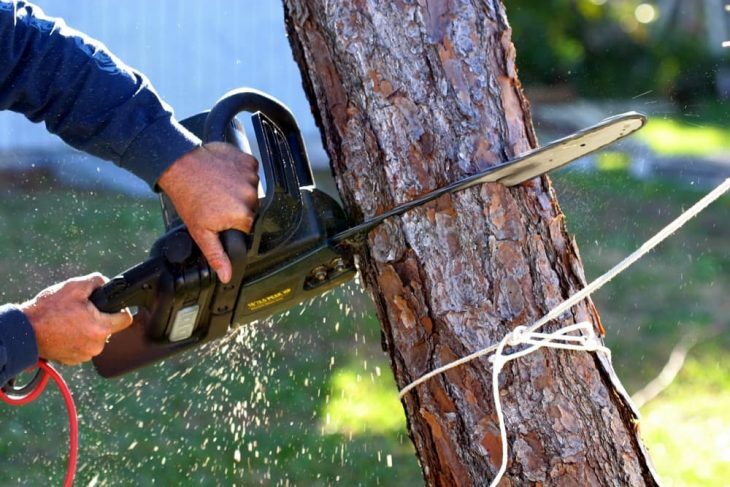 Strategic use of wedges can ensure that the tree doesn’t fall back on your chainsaw so you can cut all the way through, and this also ensures the tree falls in the direction you want it to. 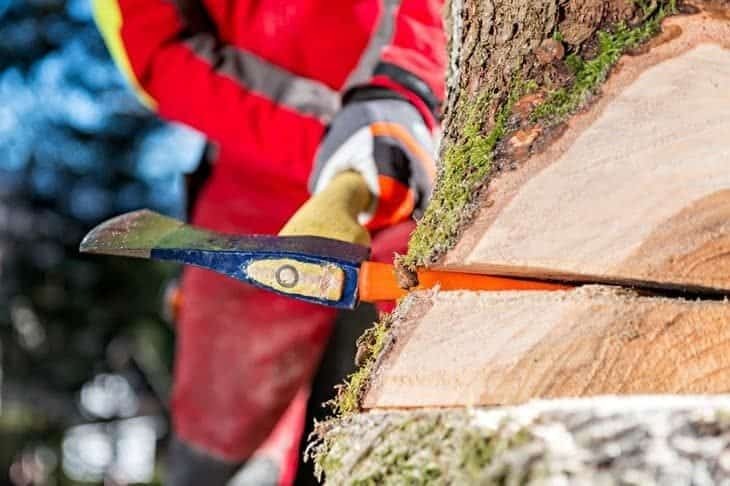 If the tree has fallen, you will want to find a way to keep it off the ground so that each cut forces the section onto the ground as opposed to back onto your blade.